Detoxing with this healthy juice is mandatory. Detoxifying, cell repairing and cholesterol lowering. Rich in vitamins A, C, K, and B12, which helps your immune system get strong. Bones and nervous system will improve while excess fluids are flushed from the body. This smoothie may help your blood pressure while toning the heart. Anti-inflammatory properties can encourage digestion and relax stiff muscles. 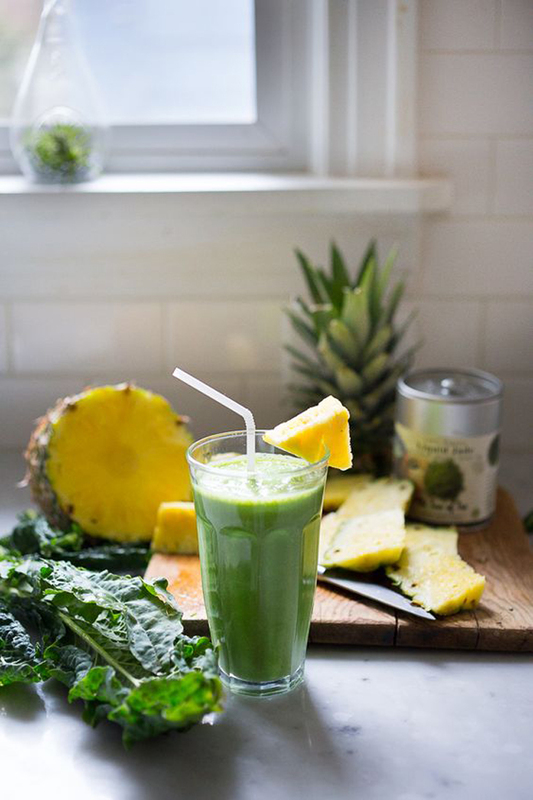 Kirk says this drink is good pre- or post-workout, thanks to the anti-inflammatory properties of celery and pineapple. "Greens supply a massive amount of energy and nutrients that our bodies need for energy and repair," she adds.